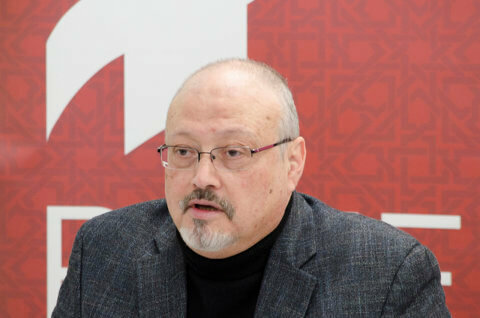 ARTICLE 19 today welcomed the initial findings of a UN expert-led probe into the murder of journalist Jamal Khashoggi at the Saudi Arabian consulate in Istanbul, and echoes its call for full cooperation from the governments of Saudi Arabia and Turkey for truth and accountability. The expert mission to Turkey was led by Ms. Agnes Callamard, UN Special Rapporteur on extrajudicial, summary or arbitrary executions, who was joined by barrister, Helena Kennedy QC, Duarte Nuno Vieira, a forensics expert, and Paul Johnston, a homicide investigator. 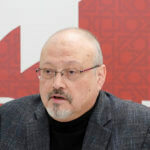 While investigations are ongoing, the initial findings point towards a “prima facie case of brutal, premeditated killing.” Khashoggi had entered the Istanbul consulate in October to collect documents required for his planned marriage, and never emerged. His body has not been recovered. After weeks of contradictory statements, the Saudi Arabian government claimed Khashoggi was killed during an attempted kidnapping. The UN probe contradicts that claim, suggesting that the murder was both planned and perpetrated by offices of the State of Saudi Arabia. It points to numerous ways in which the Saudi Arabian government has sought to thwart efforts by Turkey to investigate the case in line with their international human rights obligations. ARTICLE 19 supports the Special Rapporteur’s initiative to launch an international investigation to bring truth and accountability closer for Khashoggi’s family and loved ones, as well as justice for all his readers who are now deprived access to his crucial reporting. Global pressure on Saudi Arabia to cooperate with Turkish authorities is needed if justice is to be realised. Impunity for the sake of political expediency cannot be tolerated. Callamard will present the full findings of the investigation to the UN Human Rights Council (HRC) at its 41st Session in June. 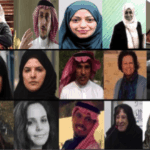 In September 2018, just a week before Khashoggi’s murder, Saudi Arabia was one of 47 HRC member states who approved a new UN resolution committing States to end impunity for attacks against journalists, aimed at a series of measures around prevention, protection and accountability. The Khashoggi probe may therefore become a broader test of the international community’s response to attacks on journalists. Notwithstanding detailed and action-oriented commitments in UN resolutions, these are not specifically directed towards any particular country situation. The UN system has largely failed to mobilize quickly or authoritatively in response to individual cases of attack, or systematic and recurrent freedom of expression violations by States. Establishing the Saudi Arabian government’s responsibility for the murder of Jamal Khashoggi would fit with a long pattern of systematic and recurrent repression against activists and independent voices in the country. The Special Rapporteur’s concerns at the expanding and extraterritorial reach of this repression brings further into question Saudi Arabia’s membership of the HRC, and underscores the need for collective action from other member states at the HRC for scrutiny of Saudi Arabia’s freedom of expression record. Saudi Arabia is not alone in escaping such scrutiny. China and Egypt, both among the worst violators of freedom of expression, are HRC Member States and have not been subject to any joint initiative of other members to call for change. Though the cooperation of Turkey in the Khashoggi probe is positive, the Turkish government has vehemently resisted any efforts at the UN to call attention to its position as the world’s largest jailor of journalists. The UN Human Rights Council will meet for its opening session this month, on 25 February 2019, its first regular meeting since Khashoggi’s murder, and the launch of the Special Rapporteur’s investigative probe. All States, in particular HRC Member States, must use this opportunity to send a clear message that arbitrary killings motivated to silence critical voices will not be tolerated, no matter how powerful the State responsible. Full support must be given to the Special Rapporteur’s investigation, including by calling for the total cooperation of all relevant actors. At the same time, serious consideration must be given to more timely, holistic, and effective responses from the UN to address attacks against journalists.